The firm understands the importance of working with clients’ internal management and business teams, to ensure that business objectives are met in the best possible and legal manner. Founded in 1996 by Sangeeta Goel, we are a full-service law firm in India and Dubai. In India, the Firm is strategically located in the National Capital Region. The hallmarks of the firm include personalized services, efficiency in executing time-sensitive assignments, integrity, focus, and client care. According to our clients, what works in our favour is our ability to “think beyond the obvious”. We are known to act in the best interests of our clients. Discourage litigation. Persuade your neighbour to compromise whenever you can. As a peacemaker the lawyer has a superior opportunity of being a good man. There will still be business enough. Lawyers associated with the firm have international work experience and multi-disciplinary qualifications. They enhance their expertise and experience by being seconded from time to time to work overseas in international law firms and in-house with our corporate clients. Sangeeta is a specialized and one of the oldest practicing IP attorneys in India. 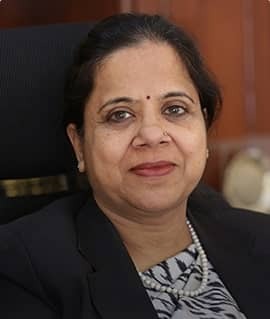 She is now well known in the IP fraternity and within various industries as a pioneer in Intellectual Property Right Laws in India. Mohit specializes in Dispute Resolution and Corporate-Commercial Transactions and Advisory. 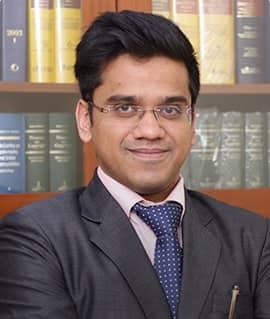 He has spearheaded several high-profile litigations in India He has been leading the firm’s dispute resolution team for over a decade now. Sidhant heads the patent prosecution and dispute resolution team of the firm. He has also obtained an honours degree in Physics. 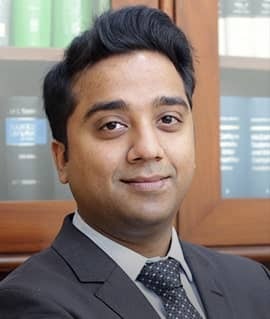 Sidhant specializes in trial proceedings before Indian courts and Tribunals and prosecuting disputes through Alternate Dispute Resolution mechanisms. We advise our clients holistically taking into consideration not only the law but all other factors that may have a bearing on the matter such as economic, social, political and ethical impacts. The IP Laws team helps clients establish, monitor, and enforce IPR rights, which are critical to protecting every company's assets. Profound expertise and capabilities in handling complex and multi-jurisdictional corporate commercial dispute resolution matters. Praised for delivery of practical legal solutions and market knowledge. We go ‘above and beyond’ to ensure your transactions deliver. The firm specializes in media & entertainment laws with a thorough grasp of the commercial and legal issues surrounding the industry. As a technology-focused law firm, we help protect valuable trade and business information at both a local and an international level. Market leading commercial experts in our office to provide an integrated and unique commercial offering to ensure client satisfaction. Legal services to Private Equity funds across operations and activities across International and Domestic Venture Capital entities. The firm has a leading national practice in various Infrastructure sectors like Power, Oil & Gas and Minerals, Transport etc. In-depth knowledge of all the relevant industry domains and strength in grappling with complex legal issues. Widely recognized banking & finance practice in the country. Practical and business-oriented approach to achieve their objectives. Experience of acknowledged leaders in the field of competition law across India. Practical, commercial advice to support your strategic objectives. Specialist advice and support across transactions. Complex structures, limited partnerships, trusts or open and closed-ended funds and more. Globally compliant advice on data management and privacy laws to design and implement efficient data security processes. Conducting investigations and enforcing actions, criminal and civil, based on the results of the investigations. Young and aspiring corporate law firm established in the Indian sub-continent. Sim And San are our trusted legal advisers. I have had the privilege of working with the firm for the last 4 years while setting up my personal ventures with some fairly complex requirements. Quite a few things stood out from the first day of interactions itself that made our experience very different from our earlier legal endeavours. Their competence level to handle complex issues, communication and responsiveness surpass our expectations. Although Sim And San attends to all our overall legal issues, they specialize in Commercial Dispute Resolution, Intellectual Property Law and Corporate-Commercial Transaction Advisory. Their knowledge base as far as global IPR aspects are concerned, is excellent. As an entrepreneur, having a firm like Sim And San represent our growing brands has been critical for the success of our company. They are a young and aspiring corporate law firm established in the Indian sub-continent with global business experience and knowledge. They are indeed a one-stop shop for all legal, corporate and IPR requirements. I would whole-heartedly recommend working with them to my friends and colleagues. Fantastic business acumen apart from legal insight. Sim And San are a full-service law firm with a team of accomplished attorneys. They are our trusted advisors for trade mark matters, commercial litigation, arbitrations, IPR, and other legal matters. Apart from legal insight, the Partners have a fantastic business acumen and commercial understanding. It is this combination of trial skills, forthrightness in their opinions, pro-activeness and business practicality that separates them from other law firms. We highly recommend Sim And San and the team they possess. Confident and professional commercial litigation and trial attorneys. Attorneys at Sim And San are confident and professional commercial litigation and trial attorneys. They successfully managed and prosecuted our company’s trademark portfolio. I trusted them to protect our business and they exceeded all my expectations. I am very pleased with my civil litigation results and would highly recommend Sim And San to represent the best interests of any person/entity. An experienced team with youthful exuberance and desire. Sim And San have been our brand’s trusted legal advisors for the past 4 years. They have been handling diverse legal issues and needs, including resolving commercial disputes and arbitrations, prosecuting our IP/trademark portfolio and also advising us on complex corporate issues. I can certainly say that Sim And San’s specialization extends to Commercial Dispute Resolution, Arbitrations, and Intellectual Property Law. Their international associate base and knowledge of other jurisdictions are excellent. As an international brand of great repute which is expanding its wings into multiple jurisdictions, we have always desired to work with young and dynamic legal teams who can offer us all services under one roof and can be contacted at any time of the day. Their team’s competence, communication, and responsiveness have always exceeded our expectations. Their team is experienced and has the youthful exuberance and desire. I wish them luck in their desire to expand their operations internationally. Besides experience, Sim And San bring a reputation for unparalleled commitment and integrity. To us, that reputation is priceless. Specializes in commercial litigation, IP law and corporate-commercial transaction advisory. Sim And San has been my go to law firm for the past 8 years for all my legal needs, including dispute resolution, arbitration, corporate-commercial transaction advisory, policy decisions, and IPR. I have worked with them while setting up all my high-profile collaborations and JV’s with large-sized international companies. They have not only handled small issues but also taken excellent care of complex legal issues concerning international law. I would certainly say that Sim And San specializes in Commercial Litigation, Intellectual Property Law and Corporate-Commercial Transaction Advisory, with sound knowledge of other national jurisdictions. I have and continue to recommend them to my friends and colleagues internationally. An absolute privilege to work with Sim And San. It has been an absolute privilege to work with Sim And San to resolve our company’s diverse legal needs, which included, prosecution of our contentious and non-contentious patent issues in the High Court of Delhi as well as before the IPAB. Drawing from my experience of working with the firm for the past 9 years, I can certainly say that Sim And San’s specialization extends to Commercial Dispute Resolution and Intellectual Property Law. A public limited company of the stature of Sintex always requires prompt services, which Sim And San has been providing successfully for many years now. I have always wished the best for the teams headed by Mr. Mohit Goel and Mr. Sidhant Goel. I recommend them to anyone looking for prompt, efficient and effective legal advice. Competent to deal with complex contentious legal and technical issues. From the beginning of the year 2014, we have been working with Sim And San for the prosecution of our Patent litigations in India and for soliciting their advice on key contentious issues and even on our contentious matters before the US Patents & Trade Mark Appellate Board. The work they prosecute for us involves complex questions of patent law and recovery of damages. Their Patent team has ably demonstrated their competence to deal with complex contentious legal and technical issues concerning these matters. I can only say that it has been a pleasure working with a responsive and effective legal team in India. Founded in 1996 by Ms. Sangeeta Goel, Sim And San, Attorneys At Law, is a full service law firm in India and Dubai. In India, the firm is strategically located in the National Capital Region of Delhi. The firm also set up its first international office in Dubai, UAE in 2015. Don’t miss to subscribe to our news feeds, kindly share your e-mail address. Sim And San © All Rights Reserved.